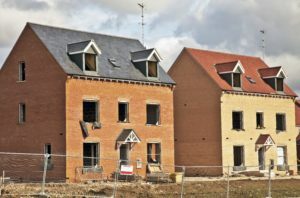 Exbury Homes Limited is pleased to be able to offer a host of professional construction possibilities for those who are hoping to procure nothing but the best home-building solutions. Boasting an unparalleled sense of flexibility alongside second-to-none industry expertise, there are few tasks which we cannot handle. What are some of the services that we provide to customers throughout West Sussex? Our builders in West Sussex specialise in home extensions. Are you hoping to add a garage to your existing property? Perhaps you are instead looking to create an addition in order to accommodate for a new family member. Regardless of your intentions, we are here to help. We are capable of tackling multi-storey additions, loft conversions and even basement transformations. In the same respect, even the most challenging refurbishments in West Sussex can be achieved with clarity and insight. We provide cost-effective services that are based entirely around the requirements of the customer. Our team is capable of handling one-off projects while we have also addressed entire property portfolios in the past. We have been awarded an NHBC A1 rating and thanks to nearly three decades of industry experience, you can rest assured that your property is always in good hands. Please note that we also address issues such as energy efficiency, double-glazed windows and on-site security improvements. Why Choose Our Team of Building Contractors in West Sussex? Full knowledge of local and national building codes. These are only a handful of reasons why Exbury Homes Limited has enjoyed success since our inception in 1988. If you are looking to work with the best in the industry, we are only a phone call away. Please contact us at your earliest convenience.